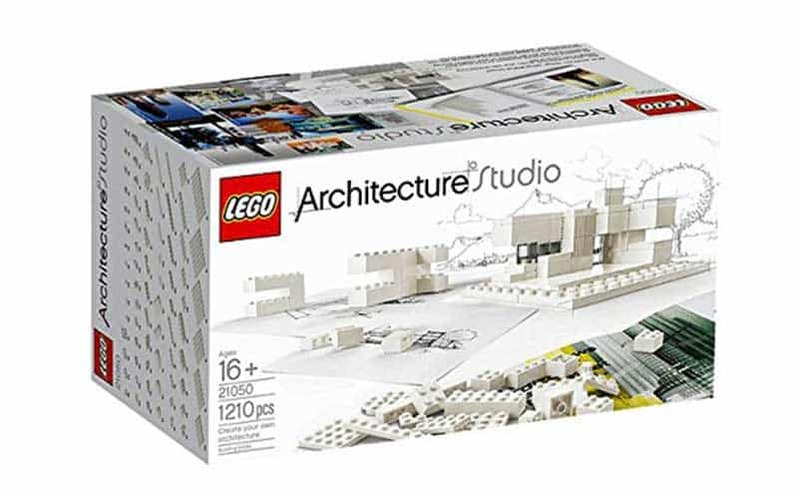 LEGO Architecture Studio Playset: 1,210 Bricks for Architects to Play With | Nerd Much? There’s nothing wrong with loving LEGOs at any age, but let’s all admit that those beautiful building blocks are intended for the little ones. That’s cool — you kids don’t have to share anymore; we don’t need your colorful bricks. The LEGO Architecture Studio Playset, intended for ages 16 and over, is a mega set of white and transparent LEGOs and an inspirational 272-page guidebook that will show you how to make incredible feats of miniature architecture by providing tips, techniques, features and great hands-on exercises that will get you thinking. There aren’t any schematics contained within, but the included booklet covers modern architectural design theory and ideas that are intended to get the juices flowing. The monochromatic LEGO bricks allow users to focus on what’s important: the design! The set comes with over 1,000 pieces — 1,210 to be exact — and also includes sorting trays to soothe your OCD. With this set, you’ll be able to explore endless possibilities and create your own miniature 3D blueprints. What’s more, the LEGO Architecture Studio Playset is endorsed by a slew of architecture firms, including REX, Sou Fujimoto Architects, SOM, MAD Architects, Tham & Videgard Arkitekter and Safdie Architects. See. Told ya. A slew. While it’s not intended to be a toy, this set will surely be used as more than just a tool. The playset is available now for $159.95.